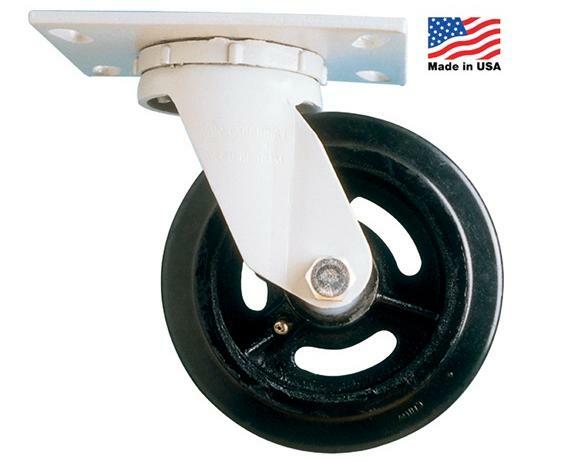 Heavy-Duty Casters | Carolina Packaging & Supply, Inc. Heavy loads keep on rolling with these rugged cold-forged constructed casters. One-piece swivel horn/fork design with no welds distributes loads across the larger portion of the ball race. One-piece combination lower ball race and king pin improves structure rigidity and easier swiveling. 3/4" king pin is orbital cold formed for superior strength and stability. 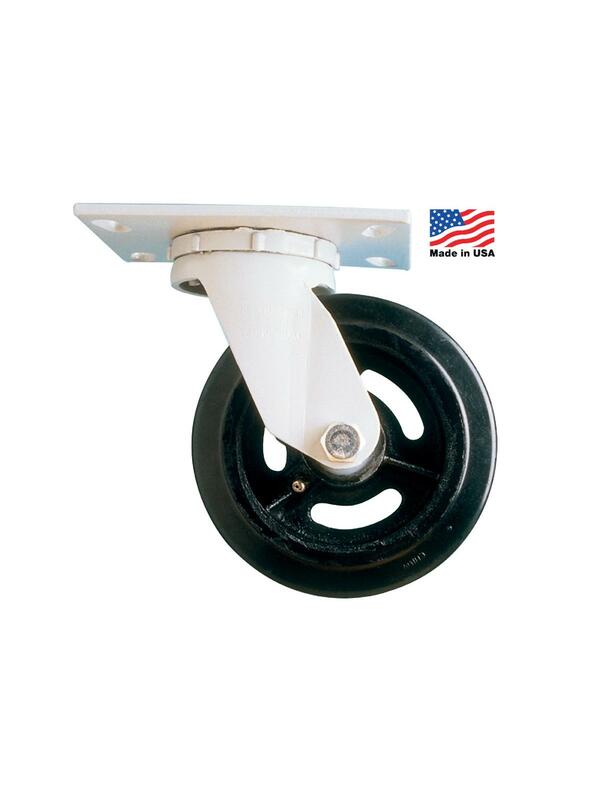 Swivel casters feature grease seals, keeping dirt out of top raceway and increasing life. Epoxy powder-coated finish. Meets ASME B56.11-1 Industry Standards. FOB Shipping Point.